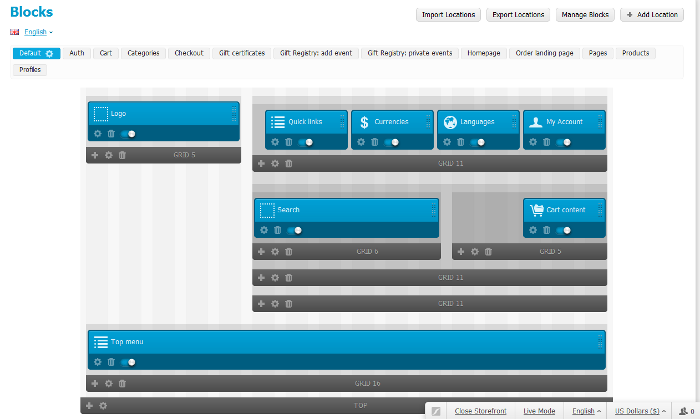 CS-Cart community is waiting for a promising release of CS-Cart Professional 3.0. This version is pretty much ready, most bugs are fixed, just needs a little more time for a perfect performance. There is no an exact release date but according to expectations, new CS-Cart Pro will be available for purchase in April, 2012. We are waiting along with everybody. * Alt-team is an authorized CS-Cart reseller. With the official release, we will offer the lowest possible price for CS-Cart Pro 3.0 - USD 276. Now, you can buy CS-Cart Pro 2.2.4 for USD 236 and upgrade it to new CS-Cart version for free after the release. 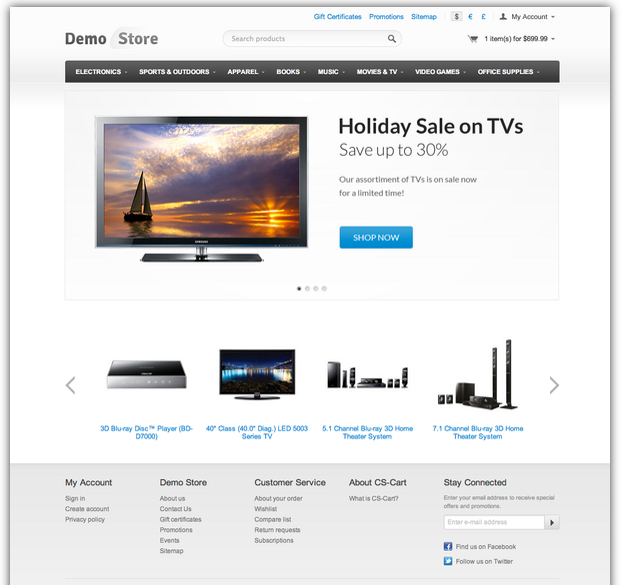 Completely new layout and design of storefront. It is the major and really great improvement which was made. Generally, administration panel remains the same. 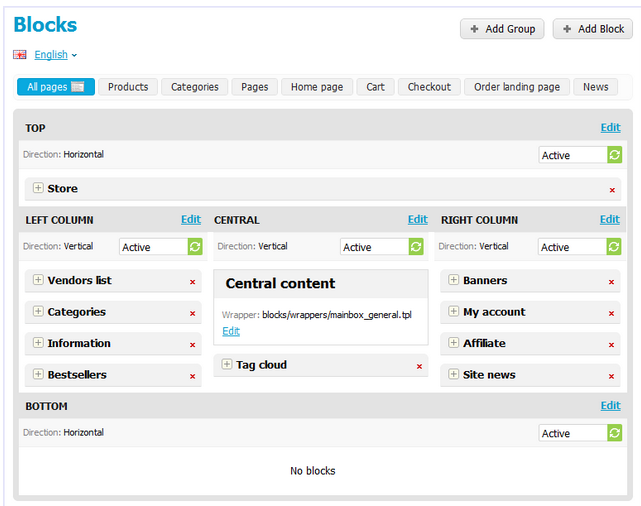 The only major alteration here is a new block manager (based on 960 grid system) which enables an administarator to manage and customize the layout of storefront pages. Like in the previous CS-Cart version, with new block manager administrator can easily add, edit, remove or simply move blocks around a page to achieve the desired look and feel of storefront. It easily generates RSS feeds for products, news and pages. For a store administrator it's a good way to keep customers up-to-date. It's a really useful module for overwhelming majority of CS-Cart licence holders. Now, with watermark addon, administrator can easily add watermarks to images and this way protect them from unauthorised use and give respect to the online store brand. CS-Cart community will definitely grow with the new version and we will be always ready to help everybody if any issue arises. 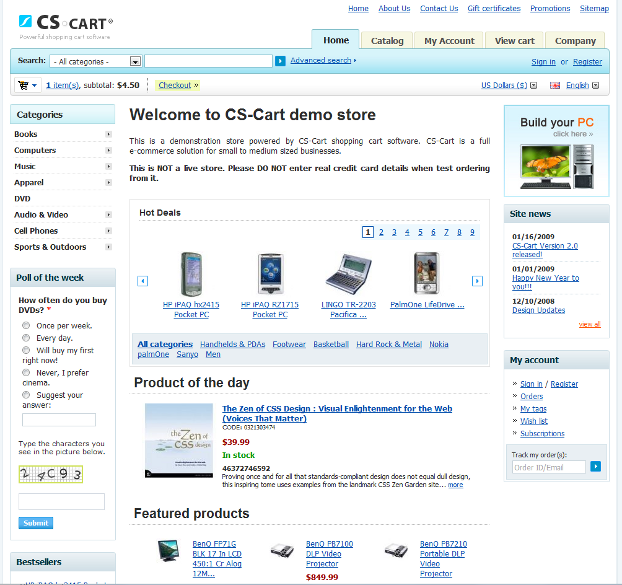 Our cs-cart development service is working for you to make your CS-Cart online store better.